Hold your head up high ! Chemotherapies, targeted therapies and hormonal therapies can dry out facial skin. The skin is weakened and dehydrated. It can pull, itch and little redness can appear. It is essential to start taking care of your face from the beginning of the treatments with clean, safe and efficient products, composed essentially of natural ingredients in order to prevent and limit side effects. 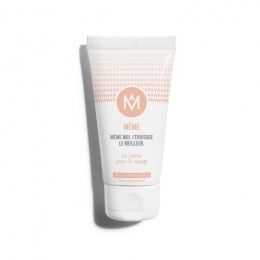 MÊME offers a range of natural face care products: a Moisturizer to keep the skin soft, a BB Cream to have a beautiful and well rested complexion and a natural makeup remover to gently remove your makeup.